Market Style Media works under the Long Tail philosophy, a term coined by Chris Anderson, Editor-in-Chief of WIRED magazine. 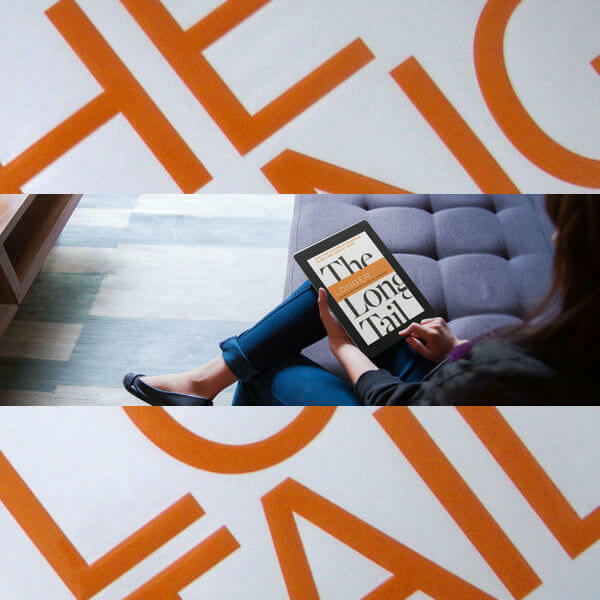 The Long Tail first appeared in an article in WIRED in October 2004 and later as a book, The Long Tail: Why the Future of Business is Selling Less of More, published in July 2006. The theory began with the observation that our culture and economy was shifting away from a few large market products toward a multitude of niche products. In other words, one-size-fits-all would no longer be applicable as the demand would be for narrowly-targeted goods and services. On a demand curve, the mass products or general information are represented by the Head and the niche products and specific information are represented by the Long Tail. Small business thrives in the Long Tail. You only need a few people in the entire world to be interested in what you offer. By focusing on the specific wants and needs of a prospective customer you treat the prospective customers as individuals with unique interests and needs. We know that some business owners can’t afford our services, but we also know that many have lost even more money by hiring so-called experts that utilize out-dated techniques, strategies, and tactics. MSM MISSION CONTROL is a community where business owners, their staff, marketers, and entrepreneurs come to not only get ideas, but also step-by-step instructions on the most critical components of digital marketing. Technology is constantly changing, but as a part of the MSM MISSION CONTROL community, you will be notified of changes that you need to implement and will have others just like you to lean on.